It’s so important, as teachers and dancers, that we *take* class. 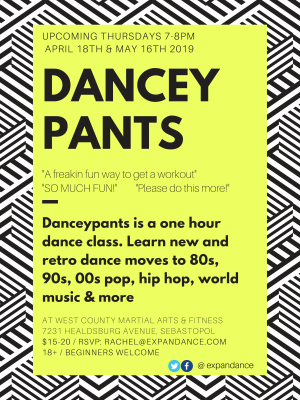 Come join me once a month for Danceypants. This is an open level class that melds pop, modern and hip hop.